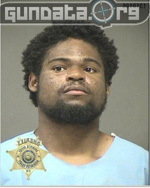 Derrick Mosley aged 22 of Oregon attempted to rob a store with a knife and bat. The store that he chose however...happened to be a GUN STORE. I'm not certain what this moron was thinking, but as you might have guessed by now...he failed miserably. 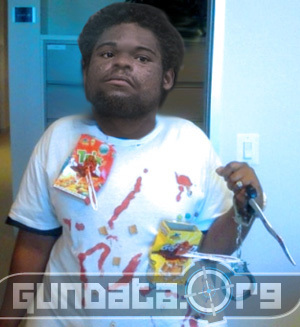 Let me restate this...Derrick (moron) Mosley tried to hold up a store that sells guns...with a bat and a knife. You just can't make this stuff up people. Some people really are just "that stupid". Derrick reportedly smashed the gun cases and tried to steal a few guns and then demanded money from the store manager. The manager calmly pulled out his own pistol (loaded) and told the idiot robber to get on the ground. Police were called and the perp was shortly arrested and taken into custody by Washington County deputies where he is being held on a $250k bond. One you've all heard before..."Don't bring a knife (or bat) to a gun fight (or store)". Mensa International won't be asking Derrik to join anytime soon we are certain. We hope you have had a good laugh, if so please share this page with your pals. Hit Ctrl+D to bookmark now. Have a good week everyone. Please post comments below.